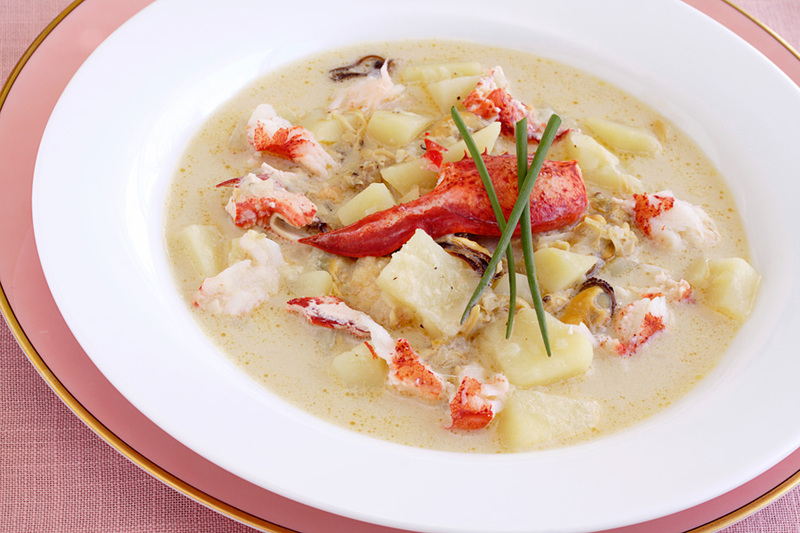 The perfect lobster chowder should age at least five hours, so prepare it well ahead of time. Combine rice or potatoes, salt, pepper, paprika, onion, milk and cream in a saucepan. Cook over medium heat, stirring frequently for 10 to 12 minutes or until the rice softens. Stir in the lobster and butter. Remove from heat, cool and store in the refrigerator. You may add other seafood such as mussels, scallops, clams. Just before serving, reheat the chowder over medium heat, stirring frequently.